In 1980, Doug Morgan was about to begin a short run as touring bassist for Human Switchboard, and had just released a collaborative 7" with Charlotte Pressler under the name Pressler-Morgan ( "You're Gonna Watch Me"/"Hand Piece" - Hearthan Records, 1979). He formed Neptune's Car with Pere Ubu/Home and Garden drummer Scott Krauss, guitarist John Freskos, and bassist Brian Cox, and went into Cleveland's After Dark studios to churn out the jarring avant-pop found on this single. "Baking Bread," with its semi-ska drunken sailor intro led by a repeated Krauss fill, quickly gets into the meat of its angular modern garage pop. Morgan's slightly Verlainian vocals overlay chiming guitars not given to typical strumming or chord voicings. Okay, it's a little like Television, but takes that approach a step further; a little more obtuse. 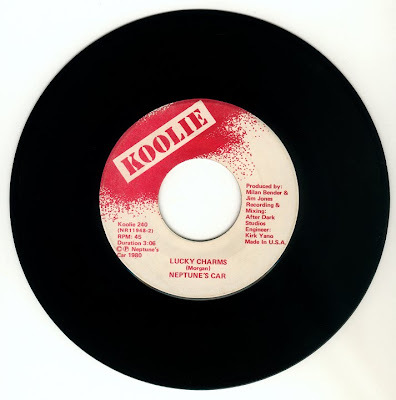 "Lucky Charms" is almost as strong as the A-side. Propelled by Krauss's forward leaning straight-4 beat, this faster, danceable rocker exhibits the same unexpected chord changes, along with some nice, quirky guitar improvisations along the way, not too far removed from the likes of what Pylon was doing in Athens at the same time. Krauss's beat style here is consistent with the flavor he demonstrated in Pere Ubu and would use in the future with Home and Garden. The guitar parts Morgan devises to fill holes between vocal lines are ever-interesting, never typical. Neptune's Car changed its lineup and carried on another few years, with Gary Lupico (ex-Kneecappers, pre-Dr. Bloodmoney & California Speedbag, and inventor of the name "Dead Kennedys") coming in on guitar, and Jeff Benik (pre-Ca. Speedbag, The New Ceasars, more) replacing Krauss. Morgan moved to New York, formed/quit some bands, moved back to Cleveland, and in the 90's formed the New Caesars. Koolie--in fact, Morgan's own label--compiled and released the EP Peter Laughner in 1982. In 1996, Doug Morgan was living back in Cleveland and asked me to record 2 songs with him in what would come to be called the New Caesars. "Flame" and "Lou" were 2 very different songs, but have Morgan's melodicism and gift for well thought-out lyrics. Practicing the songs with Doug and the band was fun, and I stayed late those couple nights at a studio in the Flats adding backup vocals and extra guitar. One night after recording I found my car window smashed by a thief who tried to get the crappy radio/cassette player inside. It was worth it, of course, because the songs came out great! You can hear the New Caesars stuff HERE. 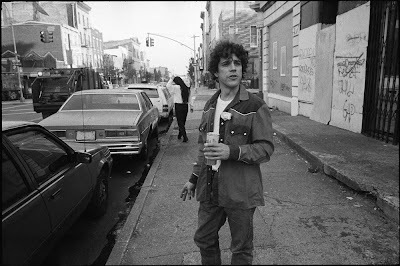 Doug Morgan, Grand Street, Brooklyn, circa 1990. 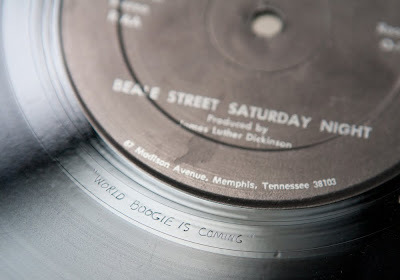 On the inner groove of Beale Street Saturday Night, amongst the various engravings that exist on old LPs, are four words in quotations: "WORLD BOOGIE IS COMING." This was a saying of Jim Dickinson's, who died on Saturday. His contribution to American music puts him in the company of men like his mentor Sam Phillips, about whom he said: "...God created all men equal. I think God gave Sam just a little extra." The same could be said about him. I never met Dickinson, and always just took it for granted that someday I would. I saw him play a few times in intimate surroundings here in New York: first at the Lakeside Lounge, accompanied by Eric Ambel (who wrote a fine tribute to Dickinson HERE) and again at Joe's Pub a few years later. Sometime in the late 90s, I was in Memphis, and went to meet writer Robert Gordon for lunch at a midtown deli. As we sat there eating our sandwiches, Robert looked up and out the window. "Is that Dickinson?" he said. He paused for a moment, as we watched him amble across the street and past us. "He must be coming from the bank...Dickinson takes care of a lot of things, but himself is not one of them." Apparently, there was a lot of truth to that statement. He loved the Bar-B-Q--maybe a little too much-- and earlier this year Dickinson underwent heart surgery, and never made a full recovery. "Everybody learned it from the yardman." says Dickinson. 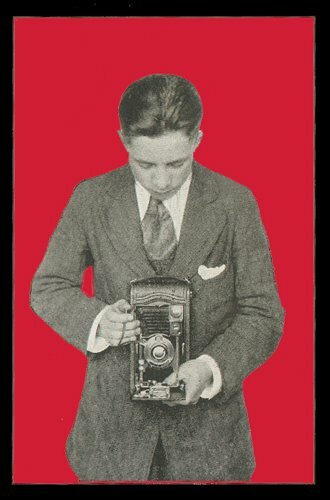 "Alex Tiel taught me everything he thought was important to teach a nine-year-old white boy. How to shoot craps, how to throw a knife underhanded--the important lessons in life. When it came to something he didn't know, he brought in an expert. He wasn't a musician, but he sang as he worked, unaccompanied, and when he realized I was interested in music, he brought in a man who taught me this technique that I learned to play from." And so Dickinson's piano lessons began. James Luther Dickinson went on to play in numerous bands in Memphis. 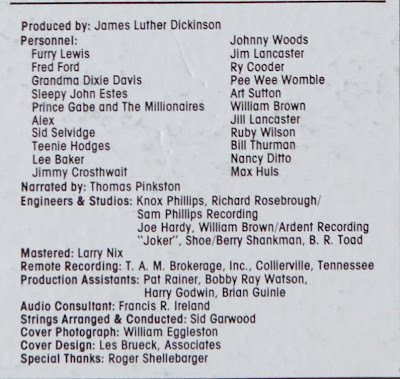 In 1969, when the Rolling Stones were recording in Muscle Shoals, Alabama, he went down to hang out, and ended up playing piano on "Wild Horses" --apparently Stu couldn't play minor chords on the piano--he was also present and (probably) helped with the arrangement of their version of Mississippi Fred McDowell's "You Got To Move" which was also recorded that day. 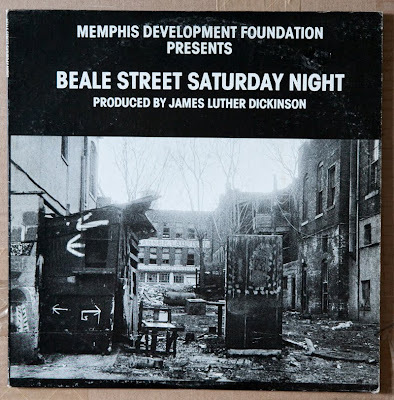 In the early seventies, with a group of fellow Memphians--The Dixie Flyers-- he went to Miami, as the backing band for countless Atlantic Record sessions; played on and produced Ry Cooder's first records, and later a handful of soundtracks (including Paris, Texas); recorded his own record, the classic Dixie Fried in 1972, following it up late in life with a string of great solo LPs. As a producer, he worked with Alex Chilton as a solo artist, and helped craft the collection of songs known as Big Star's Third. Later, he produced The Replacements, Toots Hibbert, Green on Red, Chuck Prophet, Amy LaVere, and many others including his sons, The North Mississippi All-Stars. In 1997, he played keyboards on Bob Dylan's Time Out of Mind, and when Dylan received a Grammy for the record, he thanked his "Brother," Jim Dickinson. His accomplishments are far and wide, and it's doubtful there will ever be anyone quite like him again. The world is a different place, and a better place for him having been a part of it. Beale Street Saturday Night, 1978. IS YOU GOT MY MONEY? they are long continuous tracks. Here are some of Dickinson's great recordings, as a frontman, multi-instrumentalist sideman, producer, arranger, and recording artist. This is really just the tip of the iceberg. 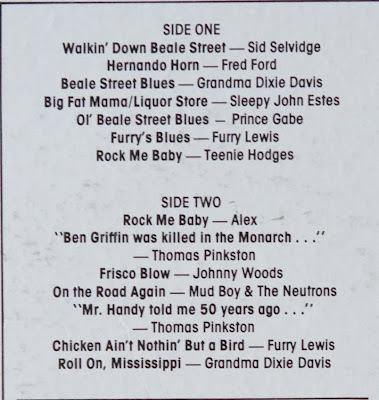 by Jim Dickinson And The New Beale Street Sheiks, 1964.
by Lawson & Four More, 1966.
by Flash And The Memphis Casuals, 1966.
by Jerry Jeff Walker, 1970.
by the Flamin Groovies, 1971.
by James Luther Dickinson, 1972.
by Jimmy Dickinson & The Cramps, 1984.
by Tav Falco's Panther Burns, 1985.
by Mud Boy & The Neutrons, 1993.
by James Luther Dickinson, 2002. As the rest of the world celebrates the 40th anniversary of Woodstock, today we'll do as we always do here in Fluville on August 16th, and pay tribute to the passing of the King. Elvis Presley died 32 years ago today, and his legacy has been enshrined by the almighty Elvis Presley Enterprises, making his former home, Graceland, one of the biggest tourist attractions in the USA. 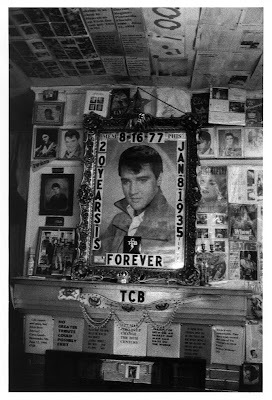 There are also some smaller fan based attractions like Graceland Too, in Holly Springs, Mississippi, pictured above and run by tireless fan, Paul McLeod, who has turned his home into a museum and shrine to the King-- covering nearly every square inch of his home with memorabilia; the more campy 24 Hour Church of Elvis, in Portland, Oregon; and a nameless place, sweetly remembered in today's musical selection: "Elvis Museum," by Brooklyn's Maynard and the Musties. "When I was 12 or so and spent the summer at my Dad's house in Lebanon, Tennessee, about 20 miles east of Nashville, he got a country club membership so we could go swimming. The bike ride was about 3 or 4 miles past the edge of town where it just started to turn into farms. About a 1/2 mile from the gate to the country club was this Elvis museum. They had a regular farm house, but as the song says, to the side was an airstream trailor and a billboard of sorts over the top. Everyone in the South waves at each other, and after a couple trips we just decided to check it out. I think she charged us 50 cents a piece, or a dollar. I don't remember much of what was inside, to tell you the truth... I just made up what I thought was in there for the song (sorry if it spoils it for anyone!)" 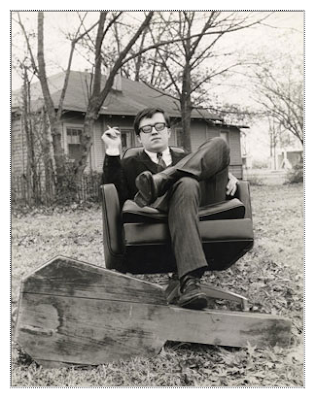 by Maynard and the Musties, 2009.
top photo: Graceland Too, Holly Springs, Mississippi, 1997.